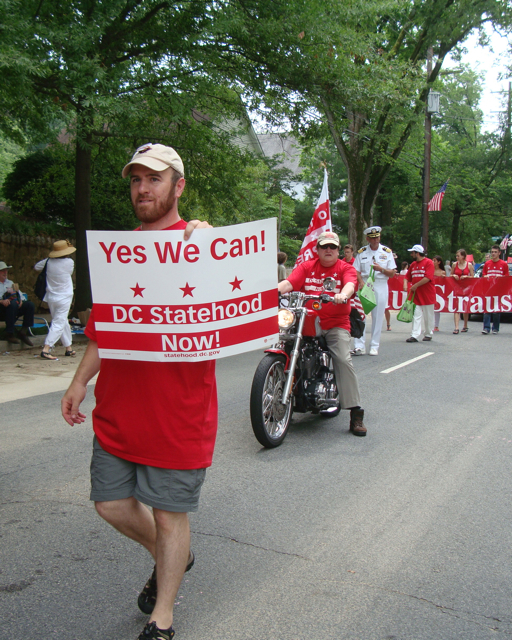 Join statehood supporters and the DC Statehood Coalition this July 4th for the annual Palisades Parade! Bring your statehood shirts, signs, or banners if you can, but red or red/white t-shirts in general are encouraged. And make sure to bring some water too! The parade will kick off at 11 am but we’ll line up with statehood supporters at 10:30am near the intersection of Whitehaven Parkway & MacArthur Blvd. NW. After the parade, enjoy some cold drinks and summertime food courtesy of the Palisades Citizens Association.